We are back with another It’s Sew Emma Quilt! Today we are introducing the Pinwheel Parade Quilt, which features the Children at Play collection by Sarah Jane for Michael Miller. 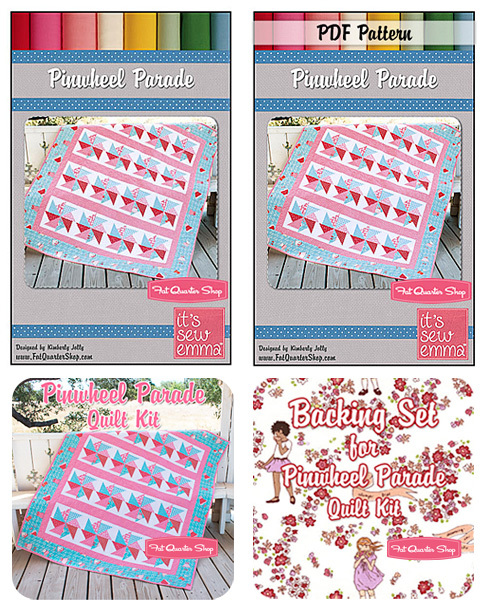 Pinwheel Parade is being offered as an exclusive quilt kit and coordinating backing set, or if you prefer, a pattern in either paper or PDF! One of my favorite collections from quilt market was this Children at Play collection. I just absolutely fell in love with the fabrics. And since my favorite color is pink this was a match made in heaven. I thought about designing a quilt with this collection for months! And one night after I put my kids to bed I sat down and drew out this quilt in 5 minutes! I fell instantly in love and I had this quilt sewn in two days. 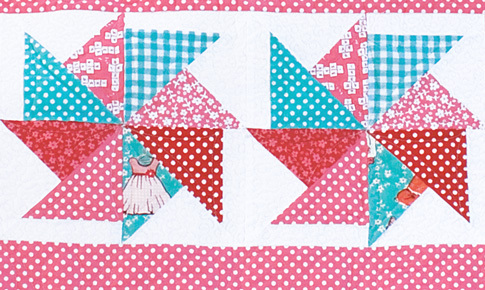 This quilt is super simple to make and any little girl in your life would love this quilt! I know my Sweet Pea Emma does!